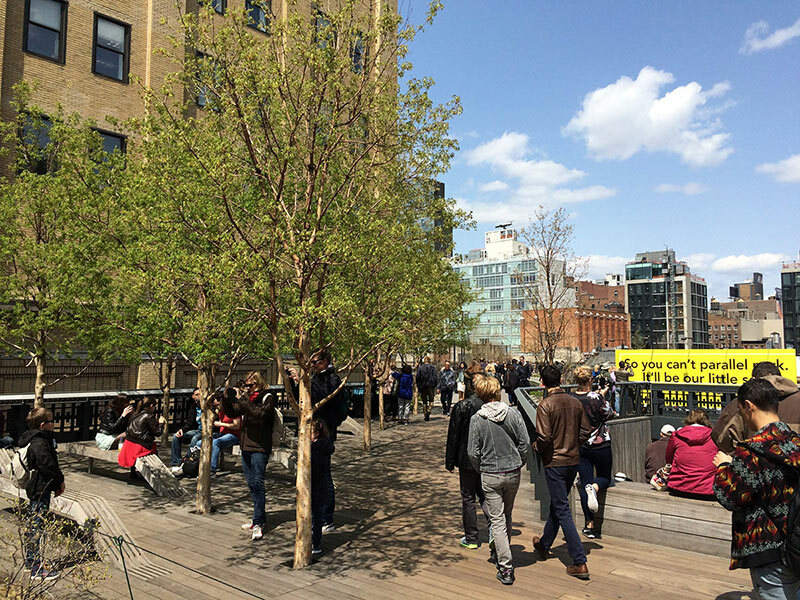 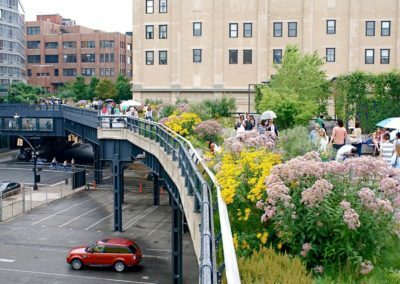 Spanning 1.45 miles along the Lower West Side of Manhattan, the High Line was originally constructed in the 1930 s’ as part of the New York Central Railroad. 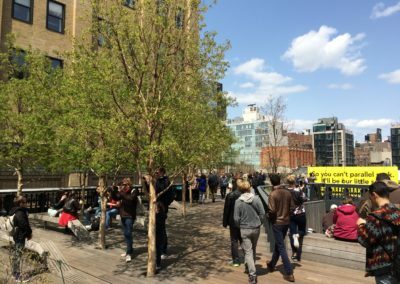 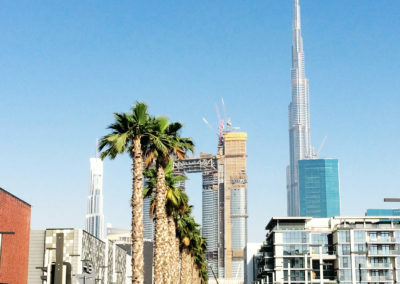 The three story railroad has now been repurposed as a public open space that attracts nearly five million visitors annually. 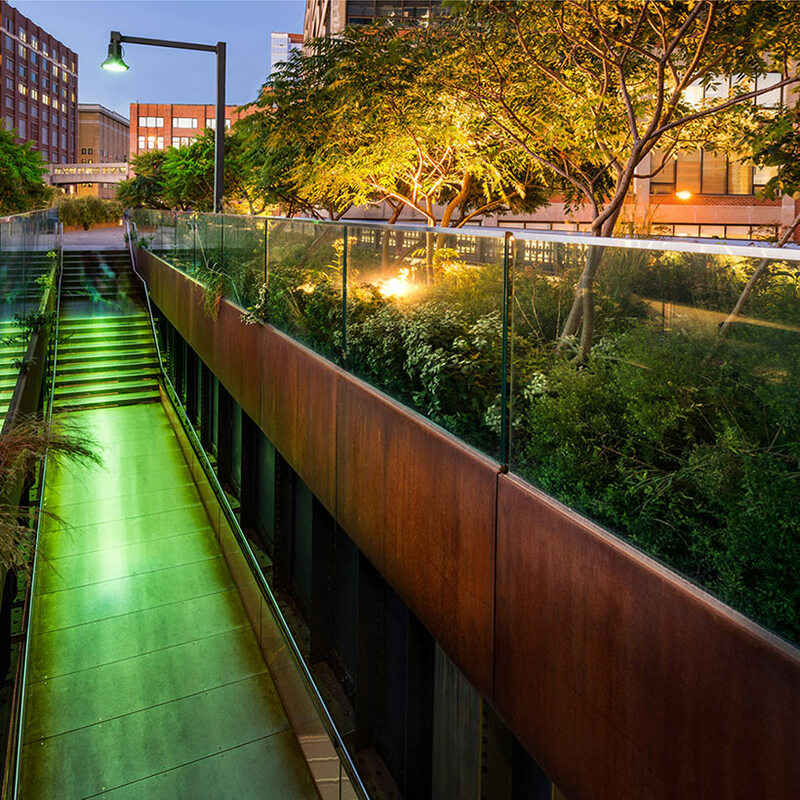 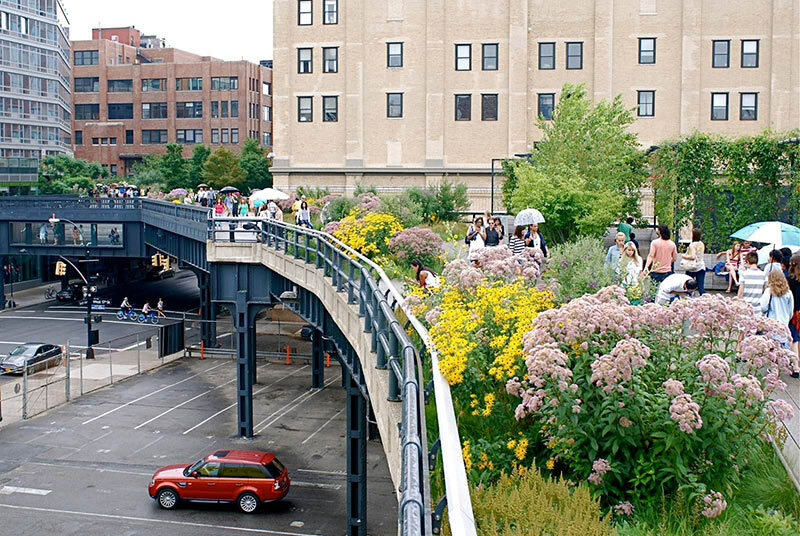 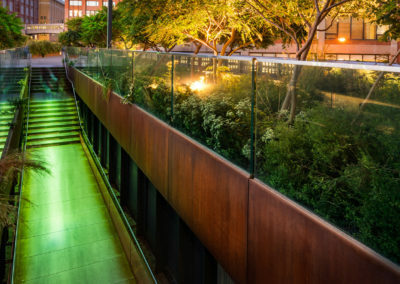 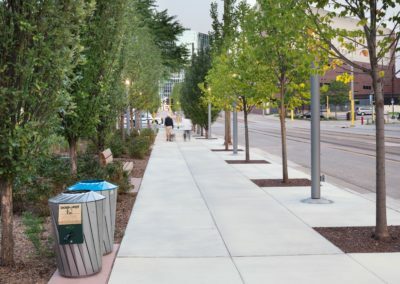 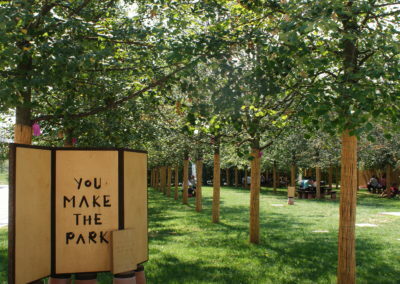 The park s’ innovative design converted an industrial trestle of steel and concrete into a green roof that twists and turns its way through the city. 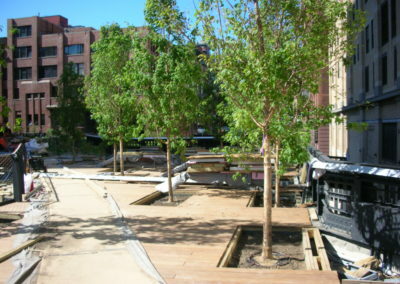 The transformation of the park only allowed for a few feet of soil above the concrete and waterproofing layer installed over the existing deck. 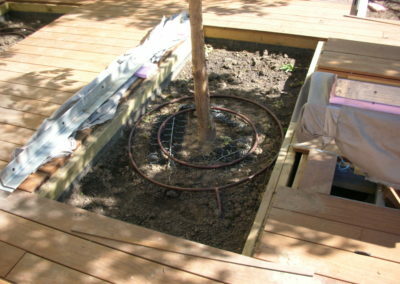 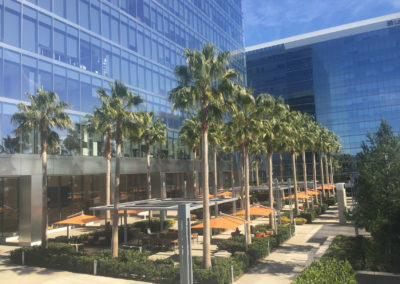 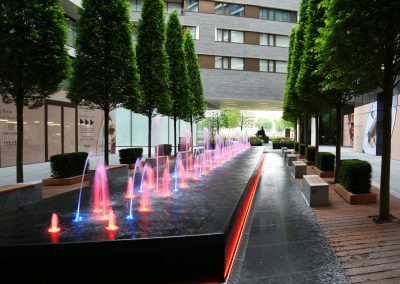 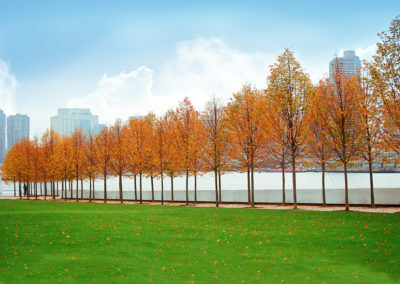 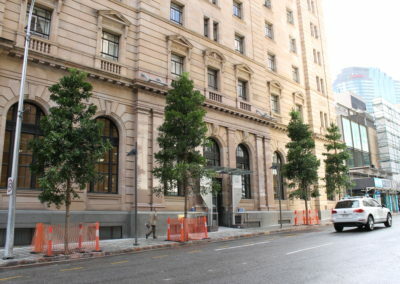 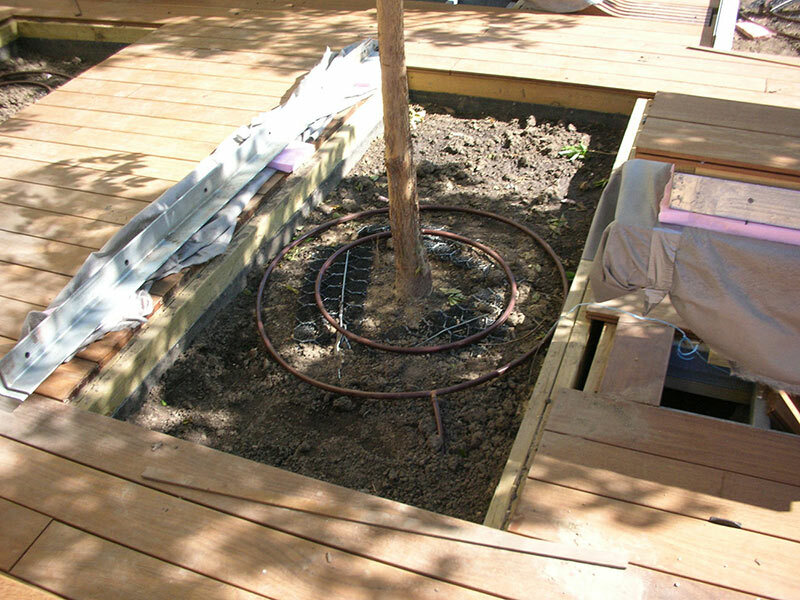 Platipus Tree Anchoring Systems, including concrete deadman sleepers and engineered soil, were used to stabilize the trees over the green roof.